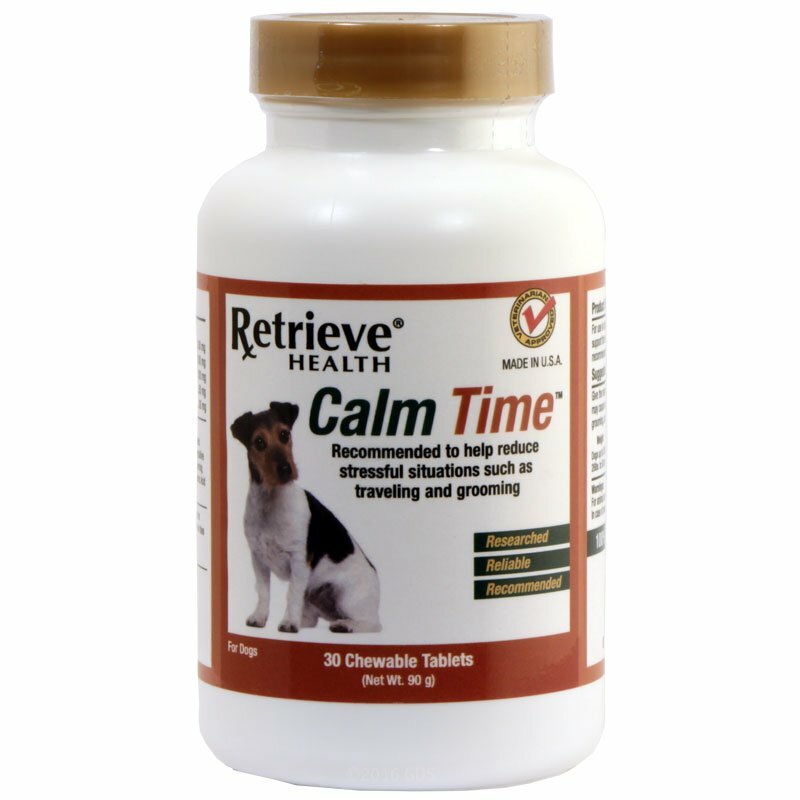 Calm Time by Retrieve Health. $12.99. 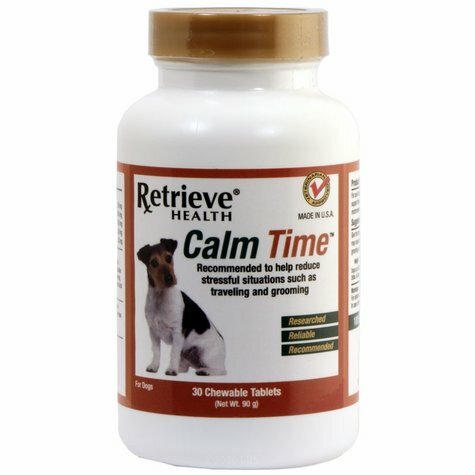 Keeps your dog calm and safe in stressful situations. 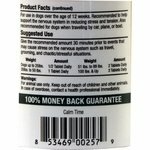 Retrieve Health Calm Time is an all-natural veterinarian recommended formulation for use on dogs three months and older. Calm Time features virtual pheromones that create a sense of well being in environments such as vehicles, carriers, unfamiliar environments or other stressful situations. Calm time’s tablet wafers produce a comforting effect lasting for up to 8 to 10 hours. Pets feel as if they are in friendly, calm, surroundings which promotes good social and safe behavior. 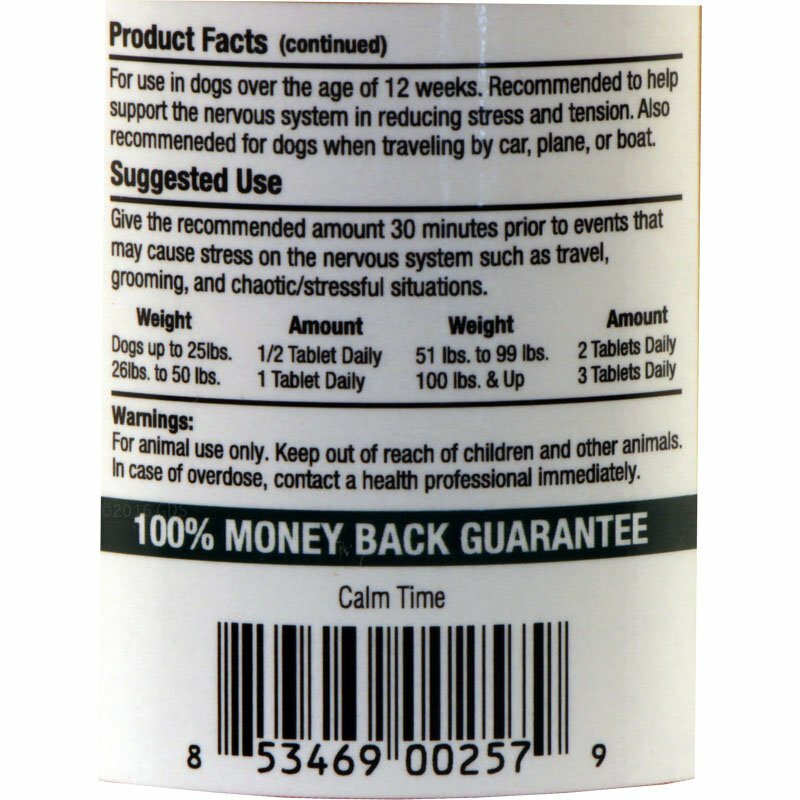 Calms nervous or stressed dogs without the use of supplements or medication. For dogs over the age of 12 weeks. 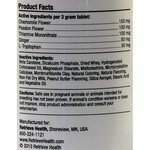 Chamomile Flower, Passion Flower, Thiamine Mononitrate, Ginger, L-Tryptophan. 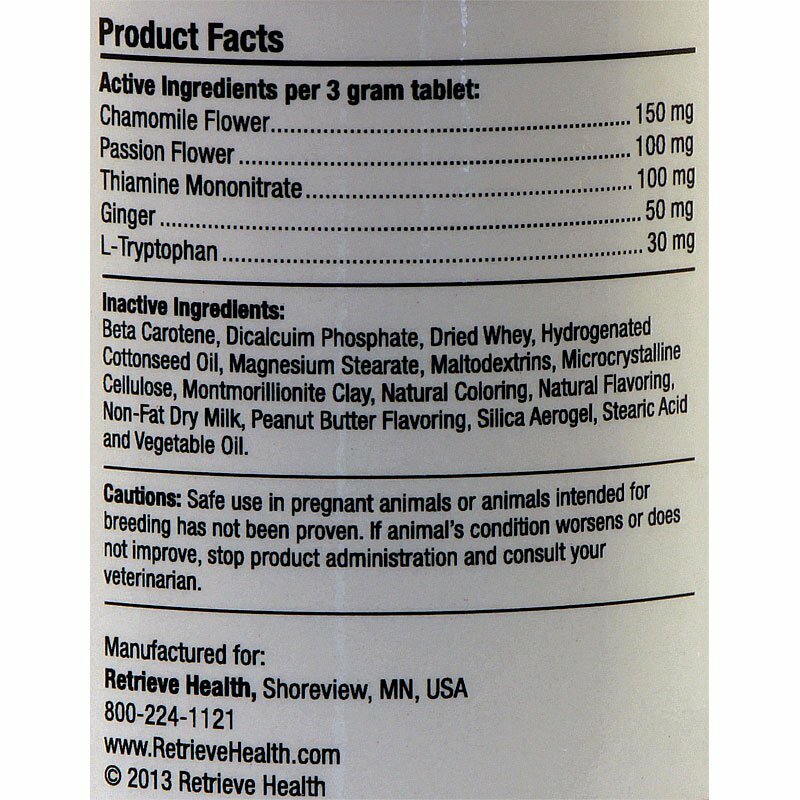 30 chewable tablets per bottle.